Guaranteed to see off the weather. Flexibility and warmth without the bulk. 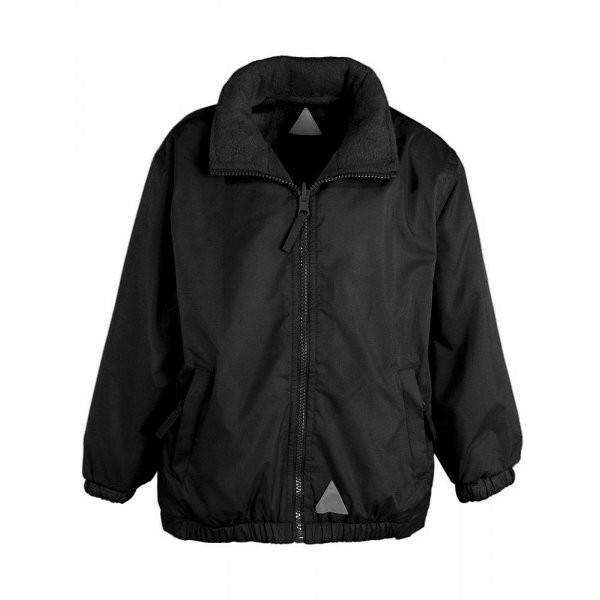 Fully reversible – 2-in-1 jacket – one side with polar fleece, the other with weatherproof rip stop nylon. Zipped pockets inside and out and phone pocket. Elasticated cuffs. Zippered embroidery access. Zipaway hood. Reflective triangles on childrens sizes.